In the nineteenth century, questions of historical origin formed the primary arena for theological ferment. Orthodox apologetics was largely occupied with defending the occurrence of the supernatural in history. In the area of general science, Darwinian evolution and uniformitarian geology challenged the traditional interpretation of the Biblical account of the origins of the world and of life. In the area of Biblical studies, the historical-critical method challenged the traditional account of the literary origins of the Biblical books. In the late twentieth century, we may be witnessing a shift in the arena of primary conflict. Increasingly questions, methods and systems from the social sciences are being brought to bear both on aspects of modern life and on Christian theology. Questions are no longer oriented so exclusively to historical origins, but rather toward matters involving the present “structure” of things. People seeking solutions to the difficulties of modern society explore linguistic, social, economic and political structures of the society. Similarly, study of Biblical texts and of theologies derived from the texts is now beginning to be influenced by an influx of perspectives from the social sciences. The challenge presented by the social sciences is more likely, I believe, to grow to enormous proportions than to go away.1 Structuralism, as a method springing from the social sciences, is one instance of this challenge.2 Hence an assessment of the potential of structuralism for Biblical studies can provide us an opening into the broader questions concerning our theological response to coming cultural developments. Structuralism is an extraordinarily hard movement to define. In the first place, structuralism is more a diverse collection of methods, paradigms and personal preferences than it is a “system,” a theory or a well-formulated thesis. In the second place, different practitioners of structuralist methods are in conflict with one another, not merely with regard to details but also with regard to the overall framework in which they work. In the third place, “structuralism” can be used as a discipline-crossing label applied to approaches in linguistics, anthropology, psychology, physics and even mathematics. In this case it applies to approaches connected to one another mainly by vague analogies and mutual influences, not to an easily identifiable common procedure or content. *Vern Poythress is assistant professor of New Testament at Westminster Theological Seminary in Philadelphia. 1. Totalities are explained in terms of the relations of the parts. In particular, relations and structures play a fundamental role in explanation. As in Gestalt psychology, the whole is more than the mathematical sum of the parts. For example, to perceive a cubical box is not merely to perceive so many patches of color at so many positions in the visual field. Rather, the relations between the colors and shades play a crucial role in forming the impression that the faces of the box are oriented in such-and-such directions in space and that the box possesses faces that are not directly perceived (e. g., its bottom and its back). 2. Structure that is fundamental for explanation is found “below” the surface of empirical manifestation. The type of structure being sought is usually abstract, “mechanical” and impersonal—that is, it is the type of structure characteristic of modern scientific theories, structure not usually obvious to the naive observer.4 Maxwell’s theory of electromagnetism, the kinetic theory of gases, and quantum physics are good examples of physical theories postulating deep abstract methematical structures as a basis for explanation. A simple example from linguistics is the chart of English consonants (TABLE 1). (For the purpose of simplicity, only stops and nasals are included.) Each consonant in the chart is viewed not as an isolated piece but as part of the structural whole formed by all English consonants. Each part is defined in terms of its relations to the other parts. Consonants are related to one another in terms of the point of articulation (with lips, with tongue tip and alveolar ridge, or with tongue back and velum) and manner of articulation (with or without vibration of the vocal chords, and with or without an open nasal passage). By seeing the consonants as a structured system it is possible to better explain how comprehension is still possible when the quality of each separate consonant is changed (for example, in whispered speech or nasalized speech). 3. In structuralism, synchronic as opposed to diachronic analysis is central. Synchronic analysis examines the “cross-section” of culture that exists at a fixed time. Any cultural phenomenon is viewed primarily in terms of how it fits into the larger cultural framework contemporaneous with the given phenomenon. It is not viewed primarily in terms of its historical origin or transmission through time. In emphasizing synchrony, structuralism is interested in the interrelations within a cultural “cross-section.” Only subordinately is it interested in a diachronic analysis that follows the evolution and transformation of phenomena through the course of time. The term “red,” for example, will be viewed in terms of its opposition to other contemporaneous color terms such as “green,” “blue,” and so forth, rather than in terms of its etymology. The three principles mentioned above form a common canopy covering the various forms of structuralism. But structuralism can take on quite different appearances indeed in Biblical studies, depending on the precise structuralist framework used in approaching Biblical texts. The two principal frameworks already in use in Biblical studies are those of Lévi-Strauss and A. J. Greimas. Both of these frameworks are several orders of magnitude more specific than the canopy label “structuralism” in the way in which they indicate just what kind of structure the analyst should look for. How then are these two frameworks being used in Biblical studies? Ideally, we should have on hand some examples of the use of each method. Because of the rather elaborate system of technical terms and categories in Greimas, however, a condensed example of how to apply his theory would not be illuminating. For the use of Greimas the interested reader should consult the theoretical introductions in R. Scholes, Structuralism in Literature: An Introduction (New Haven-London: Yale, 1974) 102-111; D. Patte, What is Structural Exegesis? (Philadelphia: Fortress, 1976) 35-52; and the example worked out in Patte, “An Analysis of Narrative Structure and the Good Samaritan,” Semeia 2 (1974) 1-26. In the scope of this paper I shall confine myself to giving two other kinds of examples: one an application of Lévi-Strauss’ method to Genesis 1–3 by Edmund Leach, the other an application of a general flexible structuralist method by Robert C. Culley. unmediated opposition of life and death is first replaced by the opposition of agriculture and warfare.6 But hunting can function as a “mediator” between the two in that it shares characteristics with both agriculture (obtaining food) and warfare (involving killing). The milder “secondary” opposition between agriculture and hunting can then be reconciled by a further transformation, in which herbivorous animals replace agriculture, beasts of prey replace hunting, and carrion-eating animals mediate between the two categories. Still another triad can be introduced to mediate between hunting and warfare. What are we to say to all this? Leach is insightful up to a point in his discussion of the general characteristics of religion; but his entire approach is likely to be regarded witb deep suspicion by most evangelicals, not only because of his anti-Christian presuppositions but because of the overimaginative and sometimes arbitrary way in which he applies the general framework to the story of Genesis. Leach, then, shows some of the potential for extravagance in this use of structuralist method. By contrast, my next example from Robert Culley’s work exhibits a much more modest use of structuralist insight. Culley has chosen to apply “structuralist” insights and methods in a broad sense to various OT narratives.9 However, he brings to the narrative not so much a universal scheme into which any narrative is presumed to fit but an eye open for any repeated structural patterns that the texts themselves may call to his attention. Hence both his methods and conclusions remind one of form criticism more than of Leach’s use of I~vi-Strauss. One of the best examples from Culley’s work is his analysis of seven OT miracle stories: 2 Kgs 2:19–22; 2 Kgs 4:38–41; Exod 15:22–27; 2 Kgs 6:1–7; Exod 17:1–7; 1 Kgs 17:17–24; 2 Kgs 4:1–7.10 After discussing each story separately, Culley argues that all seven stories exhibit a common structure of three successive “motifemes”: (1) A party in a problem situation brings this to the attention of a party with power to provide miraculous help; (2) the helper party responds by taking action on the problem; (3) the miraculous result that removes the problem is indicated. For example, in 2 Kgs 2:19–22 the story has the following three stages: (1) Jericho has a problem with bad water, and the men of Jericho appeal to Elisha for help; (2) Elisha takes action on the problem by using a material (salt) in a symbolic action (throwing the salt in the spring water) accompanied by a word of the Lord; (3) the result is that the water is made wholesome. Similar analysis applies to the other six miracle stories of the same class, but not to some other miracle stories Culley discusses (e.g., 2 Kgs 4:42–44; 1 Kgs 17:8–16). How do we evaluate work like Culley’s? On the one hand, to most people Culley’s work must seem much more reasonable and sane than Leach’s. The structures that he finds are more obviously drawn from the Biblical material rather than imposed on it. On the other hand, Culley’s results tend to be much less exciting. How much do we gain by knowing that quite a few miracle stories take the form of a problem, a response by a man of God, and a miraculous result? Is there a special significance to this? Or is it simply the fact that there is scarcely a reasonable alternative way of telling about a miracle at all? primary structures are “paradigmatic,” static structures in terms of which the speaker organizes the world. The speaker or myth-maker sees the world in terms of certain oppositions and mediations. The linear organization of the actual mythic narrative is only a secondary “surface” reflection of the underlying worldview. All in all, Leach’s and Culley’s results may seem to many Biblical scholars not too impressive. It will be said, “If this is all there is to structuralism, what is the fuss about?” But structuralism is more complex and wide-ranging than these examples may indicate. I have had to choose two of the simpler examples in order to have any hope of adequately illumining them in an article of this size. And even so, my own presentations of the two examples verge on oversimplification. Moreover, it must be remembered that structuralism is a movement in its infancy and not in full flower. Even if French literary structuralism were to pass entirely from the scene or to be radically altered in the course of further research, “structuralism” as an ill-defined large-scale interdisciplinary interest would not pass away. It is already too deeply embedded in the practice of the social sciences. Therefore the challenge presented to us as evangelicals is not merely to assess the particularities of Leach’s or Culley’s results. We must also begin to assess the long-range benefits and dangers likely to flow from the general literary interest in both “static” structures of binary oppositions (as in Leach) and “dynamic” structures of narrative organization (as in Culley). In order to know “the battlefield” better, it is useful to set structuralist developments within an historical context. The type of structuralism that has influenced Biblical studies has roots in three main areas: linguistics, anthropology and literary analysis. I will present a brief overview of proto-structuralist and structuralist developments in these three fields. The foundations of modern structuralist exegesis lie primarily in twentieth-century linguistics. In linguistics, the fundamental groundbreaking figure is Ferdinand de Saussure, whose important work Cours de linguistique générale ( Course in General Linguistics ) was published posthumously in 1916. In opposition to the prevailing interest of nineteenth-century linguistics in historical reconstruction and language change, Saussure introduced the distinction between synchronic and diachronic views of language and advocated the independent study of the synchronic view. He also stressed that language was to be seen as a system of relations. Structuralists were later to draw much of their inspiration from linguistics. They applied outside linguistics the same principles of the primacy of the synchronic and the importance of viewing human cultural items in terms of systems of relations. (1943) pushed the idea of “system” to its logical conclusion by advocating the ideal of linguistics as a deductive algebraic calculus. In the United States, Leonard Bloomfield in 1933 drew on Saussure in refining the concepts of phoneme and morpheme. He emphasized distribution—that is, the utterance contexts in which a given item occurs—in the definition of phoneme and morpheme. Hence the definition itself took into account the systematic and relational character of language, though in a way different in emphasis from Trubetzkoy’s. From Bloomfield’s work have sprung several diverse streams of linguistic theory in the United States. The transformational-generative stream begins with Zellig Harris’ introduction of the idea of transformation (1951) and reaches fruition in Noam Chomsky (1957, revised 1965). The algebraic-deductive ideal has a heavy influence here. “Stratificationalism,” represented by Henry Gleason (1955) and Sydney Lamb, views language in terms of a number of strata in relation to one another. 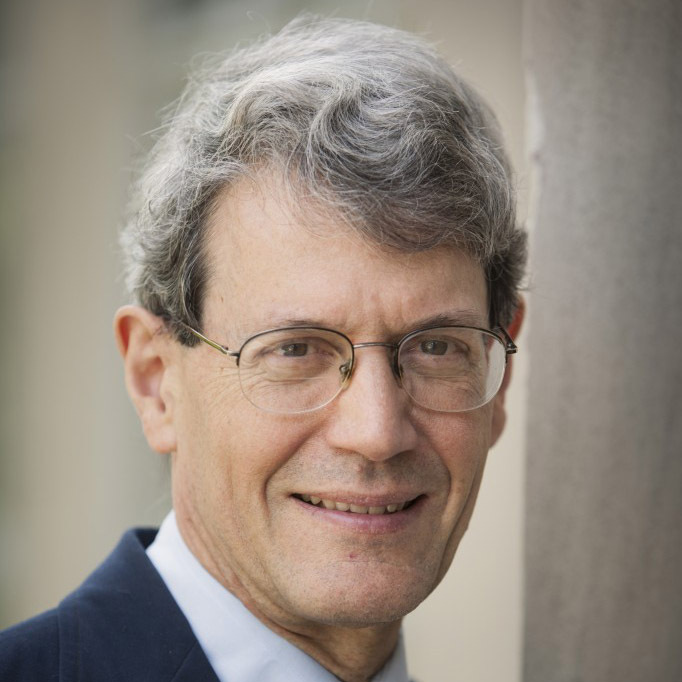 Tagmemics, represented by Kenneth Pike (1967), is characterized by a multiperspective approach influenced by Christian epistemology. The British systemic grammar of M. A. K. Halliday (1961) emphasizes the simultaneous multiple conditioning factors at work in all discourse11 (see Table 3). All these diverse streams draw to some extent on the earlier European as well as American sources going back to Saussure. All are instances of structural linguistics or, if you will, structuralism in the broad sense defined by the three fundamental principles of section I. But with some exceptions structural linguistics has concentrated up to the present on the structure of sentences, phrases and smaller units rather than on whole discourses. To apply linguistic structural insights to literature or to anthropology it has therefore been necessary to extend, alter and metaphorically transform linguistic concepts beyond their normal sphere. In anthropology the situation is much simpler than in linguistics. Struc-turalist anthropology is basically the product of only one man, Claude Lévi-Strauss, who published Les structures élémentaires de la parenté (The Elementary Structures of Kinship) in 1949 and has continued with a steady stream of other seminal works. 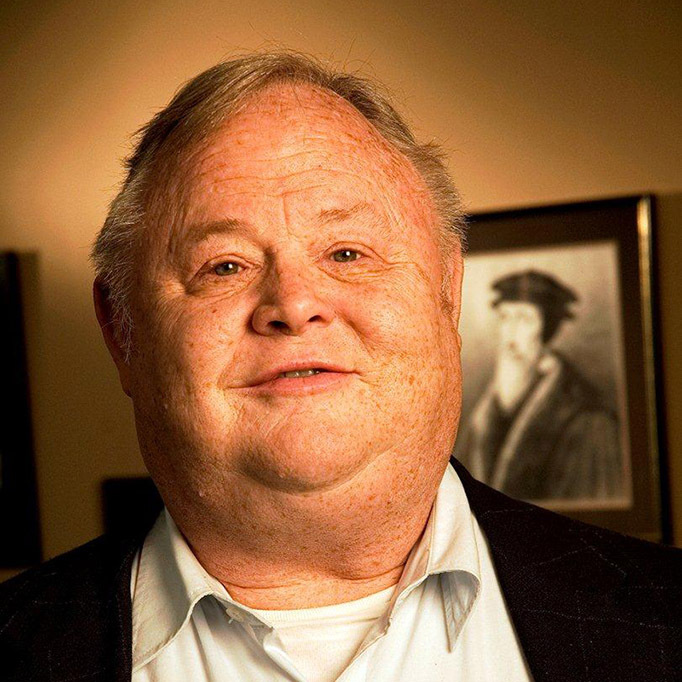 Leach has pioneered the application of Lévi-Strauss’ insights to Biblical material. Lévi-Strauss’ thinking has been most heavily influenced by the linguistics of Saussure (culture is a kind of generalized version of the language-as-system model developed by Saussure) and Jakobson (Lévi-Strauss’ binary oppositions come from Jakobson). He also acknowledges the proto-structural development inaugurated in psychology by Sigmund Freud, in the socio-economic sphere by Karl Marx, and in sociology by Emile Durkheim. In literary studies the picture is once again complex. One may nevertheless distinguish roughly three main strands: Russian, French and American. The Russian formalists Victor Shklovsky, Boris Eichenbaum, Boris Tomashevsky and Mikhail Bakhtin, working in the time period 1915–1930, were forerunners of the structuralist movement in France. Their most influential product was Vladimir Propp’s Morphology of the Folktale(appearing in Russian in 1928), which has been the jumping-off point for practically all subsequent structuralist approaches to literature. In France the early roots of the structuralist approach are found in Etienne Souriau (working in drama in 1950) and Roland Barthes (distinguishing semiotic “codes” in 1965). A. J. Greimas is the central figure, because he has integrated insights from Souriau, Barthes, Propp, Jakobson, Lévi-Strauss and other facets of general linguistics into a comprehensive universal framework for approaching narrative. Greimas rather than his colleagues Barthes, Gerard Genette, Tzvetan Todorov and Claude Bremond therefore furnishes the basis for almost all detailed structuralist analysis of Biblical texts—except for those working from the anthropological framework of Lévi-Strauss. In the United States, folklorists like Alan Dundes (1962) and Paul Powlison (1977) have approached the analysis of texts with a combination of tools arising from Kenneth Pike’s linguistic framework and Propp’sMorphology. But it cannot be said that their work has attracted interest in the way that French literary structuralism has. It is easy to see even more clearly from an historical survey than from the examples in section II that there is no such thing as the structuralist approach to literature or to a Biblical text, If the past is any guide, we may expect to see not only a continued use of Lévi-Strauss’ and Greimas’ frameworks in analyzing the Bible but also a proliferation of approaches like Culley’s and many of the French structuralists. That is, there will be many who approach a Biblical text with a general structuralist bent but without the tightly-knit framework or terminological and methodological constraints of a disciple of Lévi-Strauss or Greimas. Other frameworks attempting the comprehensiveness of Lévi-Strauss and Greimas may also be produced. Moreover, because of the dependence of literary structuralism on theoretical frameworks originally developed in anthropology and linguistics, future alterations in anthropology or linguistics of the order of the Chomskian revolution may well have a profound impact on literary structuralism. But though structuralism may alter its face with time, I do not think that it is likely to go away. So a long-range evaluation is in order. How do we evaluate structuralist approaches to Biblical texts? Because of the diversity of different structuralist approaches, an overall evaluation must be confined to generalities. Even then, the generalities are unlikely to apply to every case. This is particularly so because, as Jonathan Culler has pointed out, applying structuralism to literature can involve any one of four globally distinct strategies. 12 The first such strategy is to carry linguistics directly into the literary sphere—that is, “to use the categories of linguistics to describe the language of literary texts.”13 One of the best examples of this approach is Jakobson’s and Lévi-Strauss’ analysis of “Lea Chats.”14 This approach, though stimulating, must be judged seriously defective. Ordinary linguistic categories are not comprehensive enough or multifaceted enough to encompass and illuminate all the levels on which literary meanings are generated and refracted.15 Hence direct use of linguistics, unless it is richly supplemented by other techniques, results in a truncated view of the text. based on semantics, to furnish fundamental categories for narrative discourse or other literary genres.16 Such is the approach of A. J. Greimas.17 This approach has much greater potential for illuminating fundamental structures of literature. Rather than taking categories directly from linguistics, the analyst uses categories deliberately created to describe narrative structure or other important literary structure. The limitations of this approach are the limitations of the underlying semiotic theory and semantics. An analysis of a text will discern only those aspects of the text that the theory permits it to discern. Moreover, there is a serious possibility that the semiotic categories may be not so much discerned in a text as imposed on it. Lévi-Strauss’s anthropological work as well as Culler’s own later discussion should be seen as strategies moving in this fourth direction. There is every reason to think that the third and fourth strategies will prove illuminating in certain ways when applied to the Bible. But in other ways they are likely to prove disappointing when so applied. The third strategy is best adapted to material like lyric poetry that exhibits a high degree of literary unity and care in craftsmanship. Psalms, other poems, and certain individual books of the Bible are the most natural candidates for such investigation. But even here, pressing the metaphor of a “language” too far could easily lead to distortion. Individual Psalms and books of the Bible are so bound up with the history of Israel and a Biblical worldview that isolation of them is somewhat artificial. With respect to the fourth strategy, the problems are of a different order. The fourth strategy is interested not in the particular work but in the general problem of meaning and the process of reading (or listening). As such, it will not be concerned with the distinctives of Biblical revelation over against other ancient religious texts. It will be interested rather in the common structures of religious literature. What is of most interest to the average Biblical exegete will therefore be nearly washed out of the picture by such a structuralist approach. Different forms of structuralism, and different structuralist “strategies,” are subject to different kinds of weakness. Yet with few exceptions different forms of structuralism also share some common fundamental weaknesses. One such weakness concerns the religious motives and dynamic impulses behind the rise of structuralism. Structuralism has been motivated by what Herman Dooyeweerd calls “the science ideal.”20 This humanistic ideal is the ideal of dominating, understanding, and controlling “nature” by the use of scientific method. Humanists expect that the scientific method will lead to the production of abstract mathematical, causal, mechanical and “structural” models with the potential for explaining all phenomena in “nature.” In the social sciences and in linguistics in particular, “nature” includes man himself, or at least man in some of his aspects. Of course, scientific exploration finds a legitimation in the Biblical doctrine of creation. But science can be perverted by men who desire “to be like God,” to be autonomous. Science is then used as a tool to become independent of God. The result in practice tends to be reductionism. All of life is “reduced” to some one aspect of the world (e. g., linguistic, social, economic). Then all of that aspect is “reduced” to one abstract theory of the aspect. In the process, some of the complexities and uncontrollabilities that God has ordained are swept under the rug. But the observation that structuralism can be “reductionistic” must be balanced by a complementary observation. Paradoxically, structuralism seeks to multiply and ramify meaning rather than to reduce it to a point. This is a result of structuralist emphasis on meaning as an interplay of a system of relations. Meaning is to be found not by cutting the material into finer and finer bits but by tracing the connections outward in many directions in wider and wider circles. The total effect, however, may still be a “reduction” in another, subtle way—namely, the meaning or import of the phenomenon in question is reduced to the system of relations that it sustains in the concentric circles of more and more remote relations. Moreover, the “net” of relations stretching out over these circles can (it is hoped) be largely mapped out beforehand, using universal structuralist categories. In the end, structuralist exegesis is likely to catch in its net only what the net has been previously designed to catch. At this point, Culley’s approach can be contrasted with Leach’s. Leach comes to the text with Lévi-Strauss’ predetermined categories already in hand. Hence he is unlikely to obtain more than some kind of “etic” viewpoint. Culley comes without a fixed set of categories, and so his approach in some sense appears to be scientifically less “rigorous” than Leach’s. Yet at the same time his flexibility provides him with a chance to capture some of the “emic” point of view. To be sure, Lévi-Strauss and Greimas in their universal schemas both allow for variations in detail. The specific detail that “manifests” their categories varies enormously from case to case and example to example. But I still ask whether there is not too sharp a dichotomizing and too neat a pronouncement about what is completely universal and fixed on the one hand and about what is completely variable and substitutible on the other hand. As a last stage of evaluation I would like to leave behind most of the convolutions of particular forms of structuralism and offer an assessment of the three fundamental principles of structuralism given in section I. We must be concerned with both advantages and disadvantages that may be expected to accrue from an emphasis on these principles. reconstruction of origins is a process highly destructive of the whole fabric of the Christian faith. Such reconstruction often proceeds on the basis of naturalistic principles (e.g., the denial of miracle and of supernatural inspiration). The more consistent naturalist always has the odds in his favor because he is not afraid to bring in more and more elaborate naturalistic explanations at points where the supernaturalist would rather stop and say that it is a mystery. The naturalist always wins because only a naturalistic explanation really appears to explain. To say that “God did it” does not “count” as a real historical explanation. Negatively, then, synchrony undermines the dominance of the genetic-historical approach. Positively, it allows one to focus without apology on the canonical text, the text as a finished product. It is, after all, this finished product that God intended to be the standard of judgment and the source of nourishment for the people of God. Hence in terms of inspired authority it has a precedence over the earlier stages of genesis, however much they may have been superintended by God. But the emphasis on synchrony also has a possible disadvantage. Synchrony can become so exclusive an emphasis that it verges on a denial of the importance of history. For Lévi-Strauss, for example, myths are ultimately analyzable in terms of the static field of binary oppositions. The “motion” of a mythical story as it appears to describe historical unfolding is only a secondary manifestation. The logical endpoint of such reasoning is the evaporation of the resurrection of Christ into an eternally-existing mythical reconciliation of the binary opposition of life and death. In answer to this, one must turn the tables on Lévi-Strauss. He has himself generated a myth in his structuralist approach. He assumes as part of his myth that binary opposition between life and death is ultimate and unmediatable. In fact, Christ has accomplished in history the real “mediation,” corresponding to which the supposed oppositions and mediations in non-Christian myths represent only a groping in darkness in response to general revelation and the deepest human needs. The second fundamental principle of structuralism is that the fundamental structures are to be found “below” the surface of empirical manifestation. A first advantage of this emphasis is that it offers the potential for uncovering a greater fullness and depth of meaning in Scripture. Structuralism may sometimes help us to see two texts in closer relation to one another by pointing out a common “deep” structure. As an illustration of this, take once again the interest of Lévi-Strauss and Leach in binary oppositions. Once one focuses on the matter, one sees that the concern for dealing with and overcoming death, or for preserving life, is indeed woven through the whole OT. The opposition of life and death is related to other oppositions, like that between light and darkness: Light is used as a symbol for life and darkness as a symbol for death. Now Christ is the life and the light of the world, who in the true sense “mediates” these oppositions. By his death he brings light and life to us who were in darkness and death. Thus a judicious and cautious use of Lévi-Strauss may enable one to see relationships among Biblical texts that were formerly overlooked. unified structure in the flood narrative of Genesis 6–9.23 The more evidence is found of structures that join together a text in its canonical form, the more implausible some of the high-handed source divisions will appear. Of course, I do not mean to imply that inspiration is always incompatible with the use of sources or even plurality of authorship. But the tools of source criticism have been developed and used in an atmosphere that puts an unhealthy premium on seeing distinctions and tensions rather than common structure. What about the disadvantages of emphasis on “deep” structure? They are fairly obvious. The general theoretical framework that a structuralist develops can allow him to “read in” the deep structures before reading them out. A certain arbitrariness is thus possible, as well as a reductionism that finds information only at one particular predetermined layer of meaning. The structuralist search for universals can, moreover, be turned into a flight from the particulars of Biblical revelation. Universals can play the role of a kind of ultimate metaphysics regarded as giving more basic answers than the Bible itself gives. Finally we come to the third principle, that of seeking to explain phenomena in terms of a system of relations. This principle can be used in a reductionistic fashion, as I have already observed. But it has proved to be a principle of great power in the development of mathematics, physics, chemistry and biology. It has also borne considerable fruit in linguistics, economics and anthropology—though here the results might more easily be disputed. I think that there are potentially great benefits to be reaped from the use of this principle in Biblical studies. In particular, there is potential here to quash some instances of irresponsible handling of the Biblical text. Unfortunately, Biblical scholars all too frequently display an insensitivity to the complex textures of language and literature that structural linguistics and discourse analysis can bring to our attention. To bring these structures to the attention is, then, to demolish bad exegesis. The prime example of such demolition is James Barr’s The Semantics of Biblical Language (London: Oxford, 1961). A Biblical-theological house of cards collapsed with the issuing of Barr’s book because his linguistic sophistication laid bare the specious character of the arguments used to support the house of cards. On another level, an advantage can be derived from emphasis on relations between different parts of the Biblical texts. This can help us better to appreciate the unity and coherence of various books. It can also encourage us to explore Biblical doctrines more in their interrelations to one another rather than in isolation. In Scripture itself, after all, the verses that teach a particular doctrine are usually scattered through the whole Bible rather than grouped together into a single block. Hence the doctrines are in fact interwoven with one another in their Biblical form. Research into discourse structure can help us to appreciate this interwoven character. pening a subtle theological significance that interweaves with Biblical doctrinal teachings. But, as one might expect, there are also dangers involved in an emphasis on relations. A given text sustains relations not only with itself but also with the historical and cultural context in which it is written. The structural relations even within the text are relative to the genre, the language, the style and the circumstances of the author. Hence there is a danger that the increasing perception of these multiple relations may lead to relativizing the Bible. The Bible is then regarded as limited by and absorbed into its original linguistic, social and cultural context. The danger is the more acute because much of modern structuralism operates on a naturalistic base. We can compare the possible effects of structuralism with those stemming from the historical-critical method. For the historical-critical method in its anti-Christian form, history is a closed continuum of cause and effect into which no supernatural act may intrude. For the naturalistic structuralist, of course, history is no longer the primary locus of concern. Not history (primarily) but language, literary genre, semantics, narrative structure, economic system, and ultimately the totality of culture are a definable network of relations into which no supernatural meaning may intrude. In the nineteenth and twentieth centuries, the development and application of the historical-critical method produced the most powerful overt and reasoned challenge to the Bible’s authority that the Church has ever seen. I think it possible that we will see an even greater and more powerful challenge, if that is possible, from structuralism and the social sciences. A naturalistic structural approach has an advantage in several respects over the historical-critical approach. First, even taking into account the advances of archaeology, historical reconstruction of Biblical origins is still highly speculative. The typical naturalistic reconstruction presents us with simply a possibility or a plausibility-no more. The robust supernaturalist may therefore not find it hard to prefer still to follow the Bible’s own supernaturalistic account as far as it leads. By contrast, structural approaches are not speculative. At the present stage they may appear to be arbitrary at times, or even overimaginative. But they are not speculative. The data with which they deal are not speculative. The text is there for all to inspect. The ancient Hebrew and Greek languages can be fairly well reconstructed from the samples that we have available. Still further progress in linguistic understanding of the Biblical languages is to be expected. The very emphasis of structural approaches on synchrony gives them greater power and leverage in situations like the ancient near-eastern one where diachronic historical data are sparse. proaches are largely free of this difficulty. The structuralist approaches the text first, not the idiosyncrasies of its author’s biography. The text is a public document; the language also is public. The potential meanings reside in the system of relations that the text-discourse sustains within itself internally and with the rest of the (public) language and culture. Hence, within the bounds of the synchronic approach structural investigation in its public character can hope to expose the meanings of the text with a completeness, rigor and depth far beyond what could be obtained with a strictly historical approach. Third, structuralist challenge to Biblical authority can be direct while historicist challenge was only indirect. Historical research posed its direct challenge to the miracle; the goal was to show that a cause-effect account could eliminate the miraculous from the whole course of history. It therefore came into direct conflict with the Bible only (1) where the Bible itself described miracles in conflict with the historicist reconstruction and (2) where the production of the Bible itself involved miracle. But in a structuralist approach the Biblical text itself (along with other literary texts) can become the immediate object of research. The structuralist process takes apart the meanings of the text and shows (if it is a naturalistic structuralism) the purely human character of those meanings. Yet in another sense a structuralist challenge to Biblical authority might be more indirect. Historical-critical reconstructions have often flatly contradicted the Bible’s own account of a historical event. By contrast, the typical strategy of structuralism is not to make any direct pronouncement about the truth of Biblical literature. Indeed, structuralism positively recognizes and values insights and illuminations that come from inspecting certain strands and aspects of the Bible. But by multiplying the strands and aspects, and by tracing them out indefinitely into the surrounding linguistic and cultural structures, structuralism can easily defocus the Bible’s authoritative claims in a sea of ramifications and relativizations. The danger, then, is not fiat denial, but relativization — relativization to a series of relations and contexts. If I may again compare this to the historical-critical method, the effect of this kind of structuralism would be something like the effect of an elaborate naturalistic historical-critical reconstruction of the literary origins of (say) the book of Nahum. The Bible itself tells us virtually nothing about the origin of Nahum. Hence a naturalistic account of the origin of Nahum presents no direct contradiction of the Bible. Yet a naturalistic reconstruction could easily create an atmosphere in which it would seem implausible to attribute divine authority to the book, because it has such humble or such chaotic origins. Likewise a naturalistic structuralism could make implausible the claim that the Bible has supernatural authority. A fourth element of danger in the structural approach is the simple fact that it comes on the scene after the development of the historical-critical approach. The coming of the structural approach need not imply the disappearance of the historical-critical approach but may involve a mutual reinforcement of the naturalism so frequently involved in both. his works in the midst of “ordinary” history. Similarly, God speaks in the midst of “ordinary” language. Of course, naturalistically conceived history runs up against a barrier when it confronts miracles; and naturalistically conceived Biblical interpretation runs up against a barrier when it confronts prophecy. But structuralism with its synchronic emphasis can largely bracket out the questions of prophetic fulfillment, thereby allowing full scope to its immanent approach to interpretation. How is the evangelical world to react to the influx of naturalism in the study of Biblical language? It seems to me that we are not well prepared. And here I hope you will understand if I bring in my particular theological perspective. I think that those strands of evangelicalism infected with Arminian tendencies are likely to find themselves particularly ill prepared. I see in Arminianism a tension between the affirmation of God’s sovereignty and the affirmation of man’s freedom. The more man is free in a particular area, the less can God be honestly said to plan and ordain the details of what happens in that area. The Arminian tension has always created a problem in the area of the inspiration of Scripture. Suppose that in the area of thought and selection of language the prophets had freedom (conceived of in a way flowing outside any preordained plan of God). How can it still be affirmed unreservedly that Scripture must say and be word for word exactly what God wants it to be and say? In practice, I think that Arminians tend to deal with this by artificially immunizing the prophets and apostles from the kind of freedom that they postulate for themselves. But now the social sciences, linguistics and structuralism enter the scene. They begin to lay bare some of the regularities, connections and structures, both linguistic and cultural, that on all sides surround the Scriptures and our own understanding of the Scriptures. Human freedom—in the sense of freedom from all rules, regularities, predictabilities, structures and conditionings—evaporates. I do not think that structuralism necessarily banishes such freedom completely, but it pushes freedom to fringes and causes it to lose a good deal of its polish and presumption. Instead, in listening to structuralism one becomes aware of a large measure of cultural and linguistic conditioning involved in speaking and listening. Moreover, the culture and the language of Biblical times are themselves human products. The culture and the language radically condition Biblical writers and their audiences. Hence the inspiration of the Bible will be culturally and linguistically relativized unless we are prepared to trace the hand of God in his sovereignty over cultures, languages and social and linguistic structures. In my opinion, then, a way out is likely to be found only by those who are theologically ready to affirm both exhaustive divine sovereignty and the reality and significance of human choice and responsibility. A merely theoretical affirmation is not enough. Any of us can be caught in a pattern in which we think that we must play divine sovereignty and human responsibility off against one another. When that happens, the man who emphasizes the humanity of the Bible will be convinced by the structuralist that Biblical language is no more than language of a piece with all language of its time. The man who emphasizes the divinity of the Bible will have to withdraw the Bible from the market place and refuse to bring it into interaction with the structural scientific research of the general culture. 1 Cf. J. Barr’s insightful remarks to this effect in “The Interpretation of Scripture. II. Revelation Through History in the Old Testament and in Modern Theology,” Int 17 (1963) 203. 2 For finding out about structuralism, the best procedure is probably to follow the series of recommended readings given at the end of J. D. Crossan, “A Basic Bibliography for Parables Research,” Semeia 1 (1974) 274. 3 M. Lane, ed., Introduction to Structuralism (New York: Basic Books, 1970) 13-17. 4 Cf. E. Gellner, Legitimation of Belief (Cambridge: University Press, 1974) 149-167. 5 E. R. Leach, “Genesis as Myth,” in European Literary Theory and Practice, ed. V. W. Gras (New York: Dell, 1973) 317-330 (an earlier version appeared as “Levi-Strauss in the Garden of Eden” in Transactions of the New York Academy of Sciences 23/4  386-396). 6 C. Lévi-Strauss, “The Structural Study of Myth,” in European Literary Theory and Practice, p. 308. 7 Leach, “Genesis,” pp. 319-320. 9 R. C. Culley, Studies in the Structure of Hebrew Narrative (Philadelphia: Fortress, 1976). 11 To supplement this very sketchy account the reader may turn to R. H. Robins, A Short History of Linguistics (Bloomington: Indiana University Press, 1967) 198-240; M. Ivic, Trends in Linguistics (The Hague: Mouton, 1965). 12 J. Culler, Structuralist Poetics; Structuralism, Linguistics and the Study of Literature (Ithaca: Cornell, 1975) 55-109, esp. pp. 96-98. 14 “Charles Baudelaire’s ‘Les Chats,’” Introduction to Structuralism, ed. M. Lane, pp. 202-221. 15 Jakobson tries to meet this objection by expanding the scope of linguistics; cf. Culler, Poetics, pp. 55-56. 17 A. J. Greimas, Sémantique structurale (Paris: Larousse, 1966). 18 Culler, Poetics, p. 97. 20 H. Dooyeweerd, A New Critique of Theoretical Thought (Philadelphia: Presbyterian and Reformed, 1969), 1. 169–495. 21 K. L. Pike, Language in Relation to a Unified Theory of the Structure of Human Behavior (2d. ed. ; The Hague: Mouton, 1967) 37-72. 22 On avoiding reductionism, cf. V. S. Poythress, Philosophy, Science and the Sovereignty of God (Nutley, N.J.: Presbyterian and Reformed, 1976) 48-54. 23 R. E. Longacre, “The Discourse Structure of the Flood Narrative,” SBLASP 1976 (Missoula, Mt. : Scholars Press, 1977) 235-262. Cf. also F. I. Andersen, Job (Downers Grove: InterVarsity, 1976) 19-23.